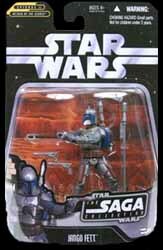 Action figure number 020 in the range is Jango Fett. This detailed figure will ensure that young fans of the movies can re-enact their favourite scenes. 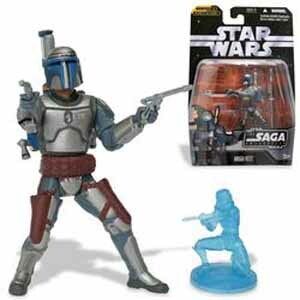 This figure also comes complete with two guns, a grappling hook, a pole-like weapon and a mini holographic Darth Vader figure (which is just a small figure that is made from blue translucent plastic). You also get a small plastic stand that has: "Star Wars: Revenge of the Sith" embossed on the top.